Walk with me through the vines. Every day would be fine. Each time I am afforded this luxury, I’m taken aback by the magic — and in awe of the hard work associated with maintaining a vineyard. I can’t stress this enough. The wine you drink: It has been tended to by loving and extremely hard-working hands. On a warm September morning, Susan Braymer, who owns Laurentide with her husband, Bill, was gracious enough to take me in her four-wheel drive vehicle onto her property. My appreciation of the land grew even deeper in meeting Susan, who is extremely passionate about it. 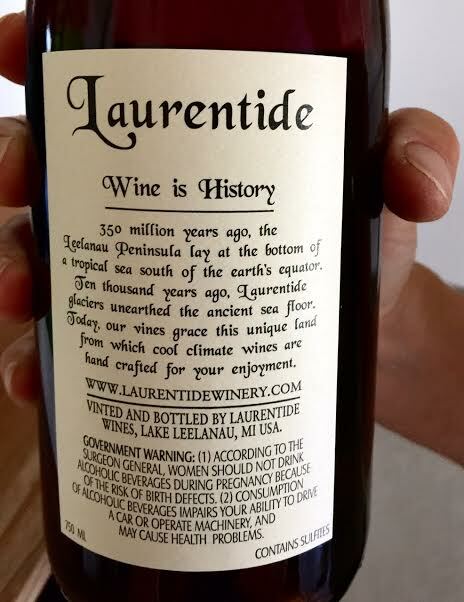 She explained to me about the Laurentide glaciers, showing me all of the stones she had carried in her truck from where the vines grow to the tasting room. Susan wants people to see that the wine is about the land, and so do I. The soil is filled with these rocks, as well as shale and limestone and seashells left behind by the glacier 14,000 years ago. 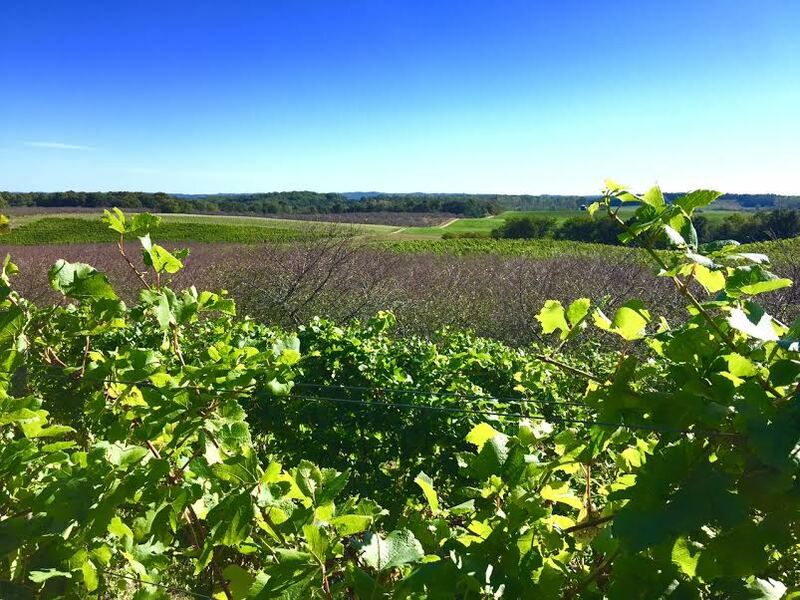 You see, the land is special, and with a view of the Whaleback and a peekaboo of Lake Michigan, this plot of land is simply magnificent, orchards and vines as far as the eye can see. Susan asked me if I had time to walk in the vines. She — like I, no doubt — had a long “to do” list, but you simply have to stop and smell the roses sometimes, and I thank her for taking the time. I studied the vines as we walked and the grapes and how different grapes produce different foliage. And I enjoyed the landscape flowing on all around me. This is life: These are the moments of pure beauty and enjoyment. 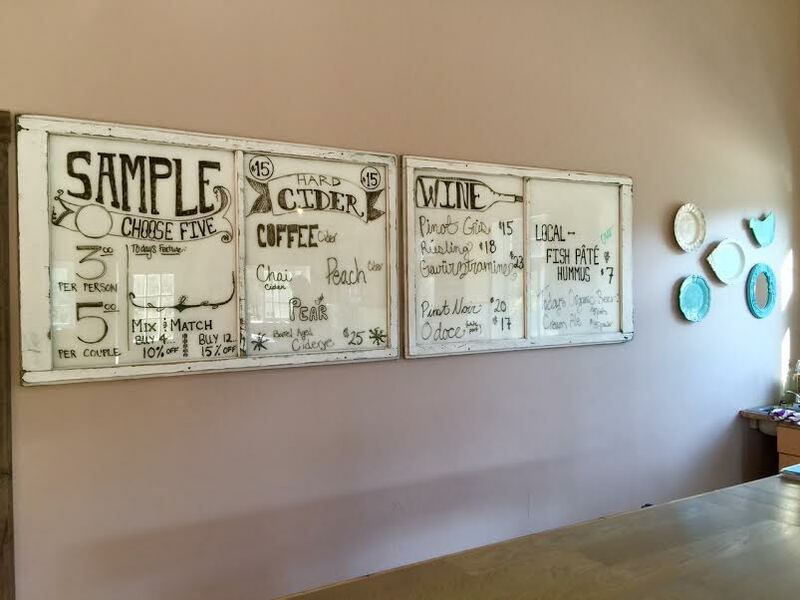 Good Neighbor Organic Vineyards & Winery: It’s an organic experience — as the sign says, after all! 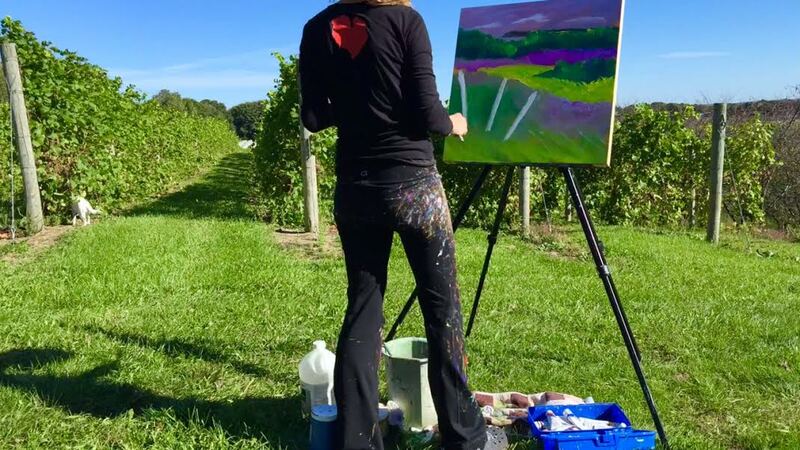 This Northport-based winery and tasting room, owned by partners Ben and Janah Crow and Court and Jen Wengreen, is so worth the drive. The feeling here is just all kinds of good, and the libations are top notch. The wines were amazingly delicious and you can feel great about their organic approach. 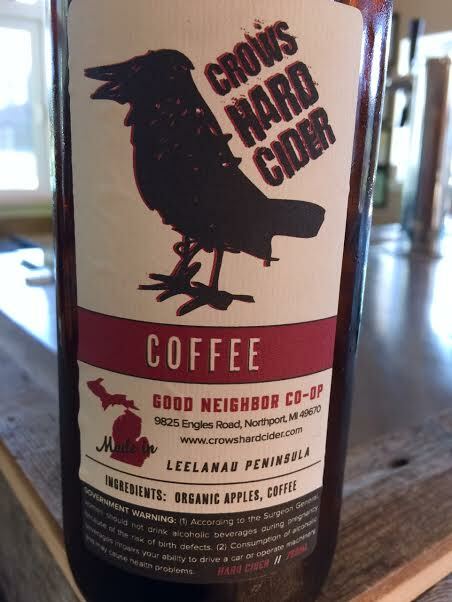 Of particular interest are the chia and coffee hard ciders, dry with great undertones of their namesakes. 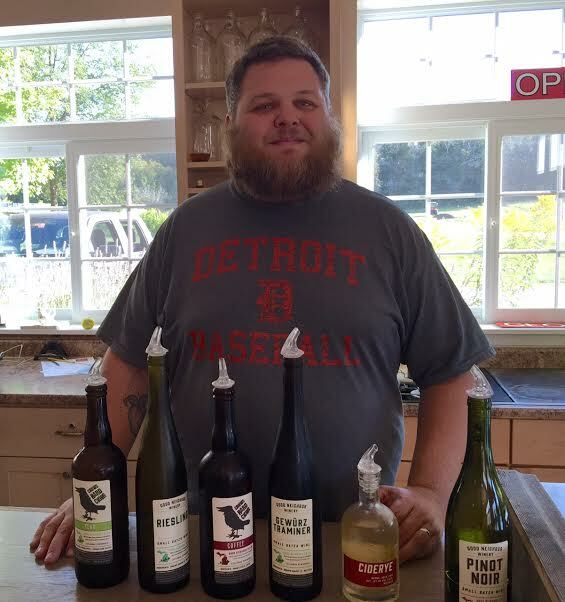 My favorite is the Ciderye barrel-aged cider — oh so yummy. I’m actually sipping on a Good Neighbor Organics Pinot Noir as this is typed. 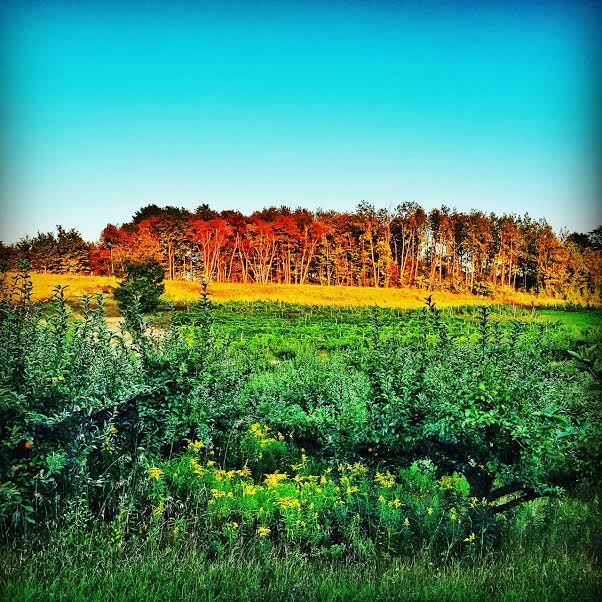 The evening I set out to paint on location at Good Neighbor was a warm one in September. The sun was just beginning its descent, leaving me enough time to do underpaintings from two locations. One was overlooking the field of lavender, with a backdrop of vines. Simply enchanting. My second underpainting was done from the apple orchards, where grand old apple trees frame the vines that peek through their branches and over the old treetops. It’s a magical place with a heart, and I can’t urge you enough to go see for yourself!